Our CEO, Lily Winsaft On The Brink Of Getting Published – First Novel, See Link! Young people are faced with all kinds of turbulent experiences. So many of our children today are battling depression, anxiety and addiction. Suicide rates among children and young adults is skyrocketing. This is alarming. We must teach our young people that suffering is not necessary. We must teach them to wake up to their true light, to their divine potential! 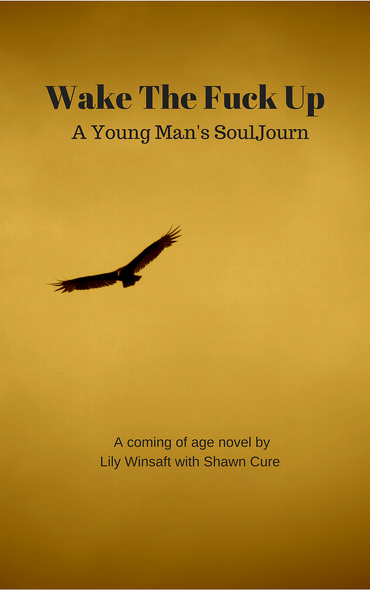 This story is based on the real experiences of a young man who suffered an unspeakable life from a very early age. It was an age in which what he should have been experiencing was bedtime stories, birthday parties, and Little League. Instead, Daniel was repeatedly abused and neglected, eventually becoming a ward of the state of Massachusetts . . . a state that ultimately allows him to fall through the cracks. His journey to enlightenment serves as an inspiration for all of humanity. Lily Winsaft spent over 25 years in corporate America and owns a recruiting company that is currently managed by her oldest son. She studied psychology in college and was raised in a home where metaphysics was the backbone of all teachings. Reincarnation, karma, the chakra system, astrology, mythology, clairvoyance, etc. were all family suppertime topics. She had a very interesting adolescence and young adulthood in which she practiced meditation, yoga, dreamwork, and out-of- body travel. Later, her professional career focused on Sales, Recruiting, and Coaching (Career, Executive and Life). She is an entrepreneur at heart and an aspiring writer. In her early 40’s she became a certified ThetaHealing practitioner and has witnessed hundreds of energy healings. Lily is also a highly skilled Akashic Records reader and regularly teaches classes at the Jamar Enlightenment Center in Palm Beach Gardens. Her soul’s purpose in this lifetime is to be of service to humanity by helping people remember who they are and why they are here. She facilitates Transformational Breath sessions, teaches the DreamWorker™ Protocol & Technique (a process she created), leads meditations and is an avid beach walker.